Hello lovely peoples! It's time for another card to hopefully brighten your day! This time I did something I have rarely ever done, I would hazard a guess that this may be the second or third time that I've ever copied a card. 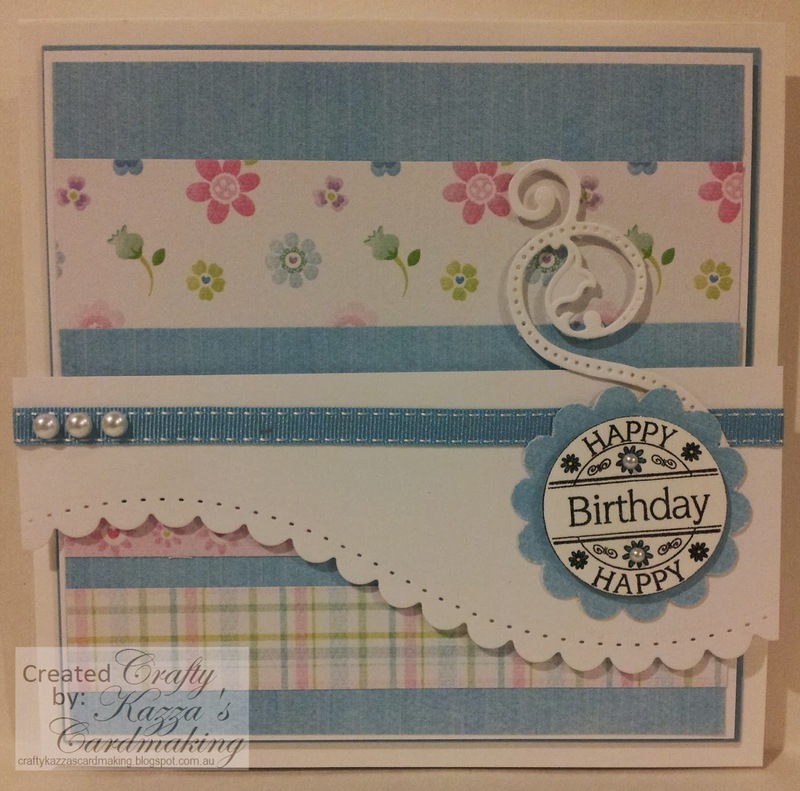 I had to have a go at copying this card which was created by Dawny Phillips! 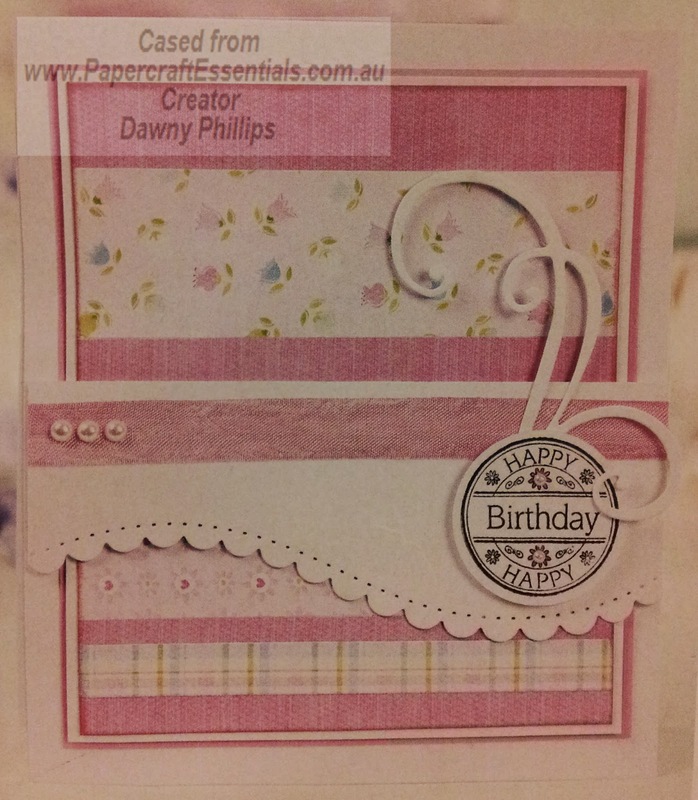 The magazine had a free paper pack and birthday stamp from Lili of the Valley and this card was one of 6 featured in the magazine for using the free gift. I'm really pleased with how it turned out, I must say. I really need practice in using my patterned papers, I have so many but the collection keeps growing so I need to start using them more often. This was a great way to do that! Plus, I was stepping outside my box using so many different patterns, but as they all came from the paper pack, they all coordinate really well together! I hope you've enjoyed seeing this CASE and hope to bring you more in the future! Thanks Cheryl! 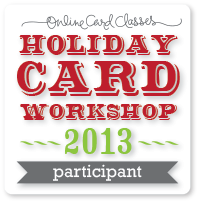 Until I saw them used on this card, I didn't know they existed! lol It's a set with 6 dies in it, so versatile! Ooh love your card and the dies sometimes you need to see them used to want them hey! If we stopped looking at everything we would be much richer hahaha! !